the prestigious ‘poorvika mobiles 9th annual vijay awards powered by casa grande and jannal media works’ is back again this time even grandeur than its last eight years; an event to recognize the excellence of professionals in the tamil film industry, for movies released in the year 2014.
the inauguration of 9th annual vijay awards was held in chennai spencer plaza on 27 march 2015. this was inaugurated by none other than the proud juries director k. bhagyaraj, yugi sethu, k.v. anand and actress nadhiya. apart from them many film fraternity from the industry viz director mysskin, s.j. surya, karthik subhuraj, mano bala, bobby simha, arun vijay, parthiban, a.l. vijay and many others took part in this gracious occasion. the jury members for the 9th annual vijay awards comprises of the popular writer/director/producer k. bhagyaraj, yugi sethu, k.v. anand actress nadhiya and director balki. 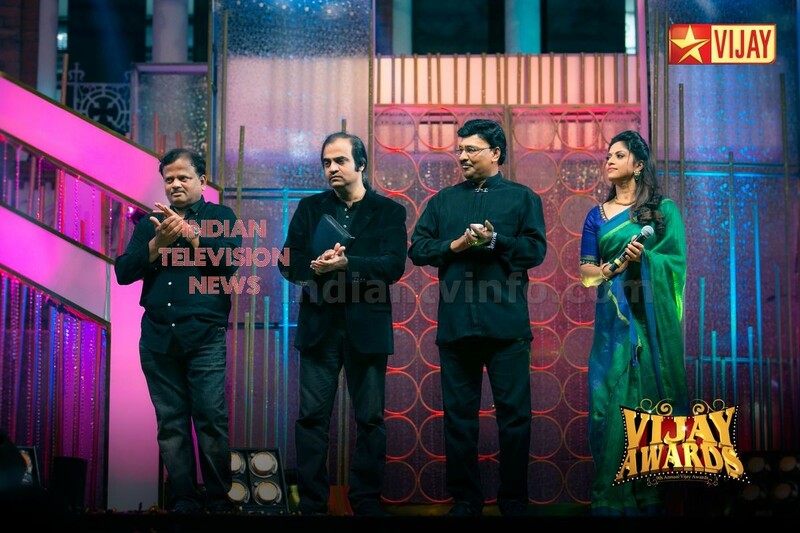 vijay awards, vijay tv’s biggest attraction that enters the ninth annual year this time has been conducted from the year 2006. vijay awards was a phenomenal success and witnessed an array of celebrities, film technicians and movie buffs. the event received an overwhelming response as it was the common man who voted for his favorite film categories besides the special jury. the countdown begins to the biggest star-studded awards ceremony which will be held on 25 april 2015 at the nehru indoor stadium, chennai, to honour the tamil film industry.